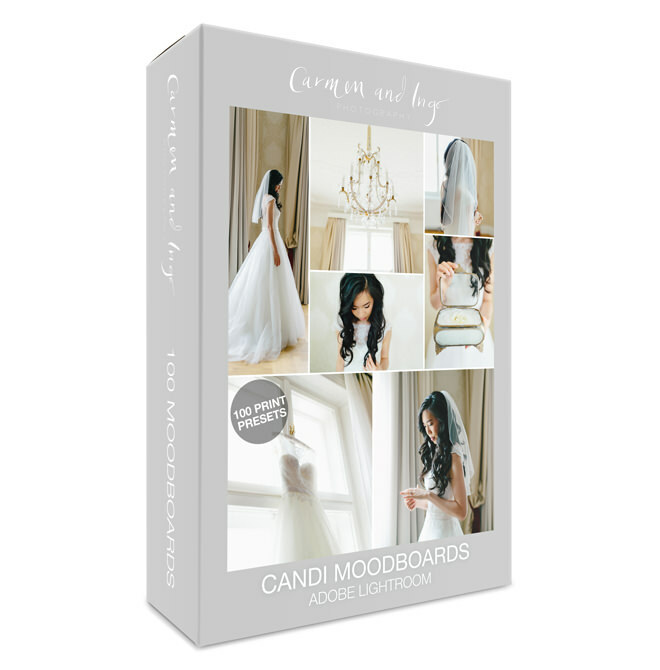 This product bundle is the FULL collection of our five Candi Presets for Lightroom and Adobe Camera Raw (ACR) available at the moment with a special price. 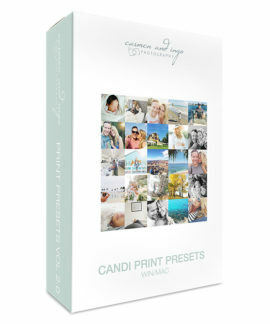 Thank you for stopping by in our Candi Store and for the interest in our presets. 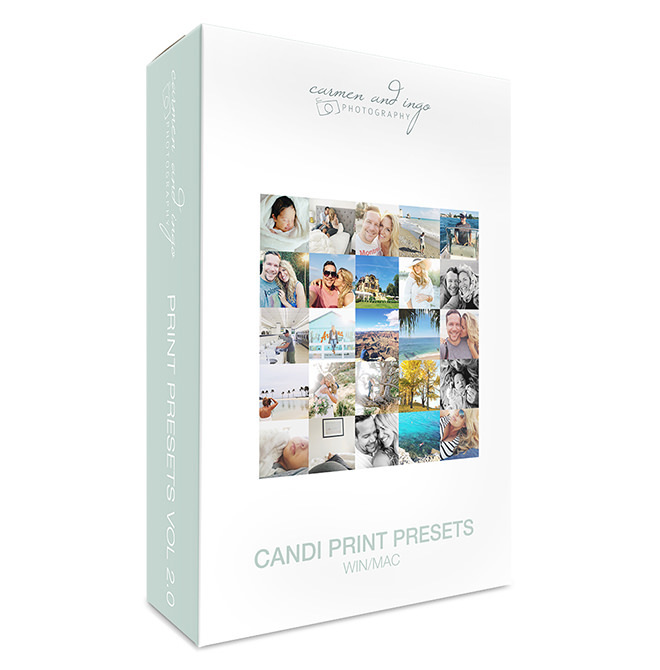 This product bundle is the FULL collection of our five Candi Presets for Lightroom and Adobe Camera Raw (ACR) available at the moment with a special price. 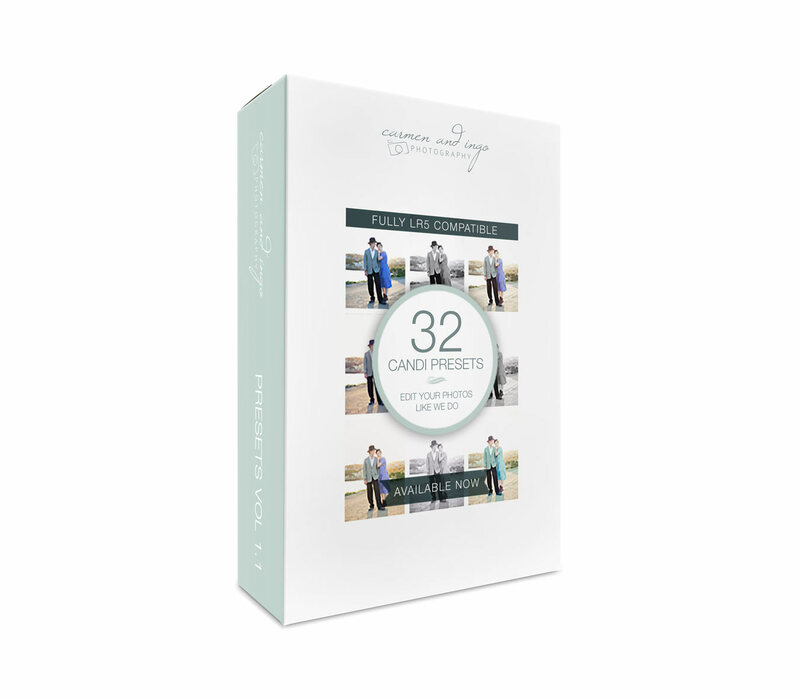 Instead of over 335,- Euro it’s only 237,- Euro for a limited time! 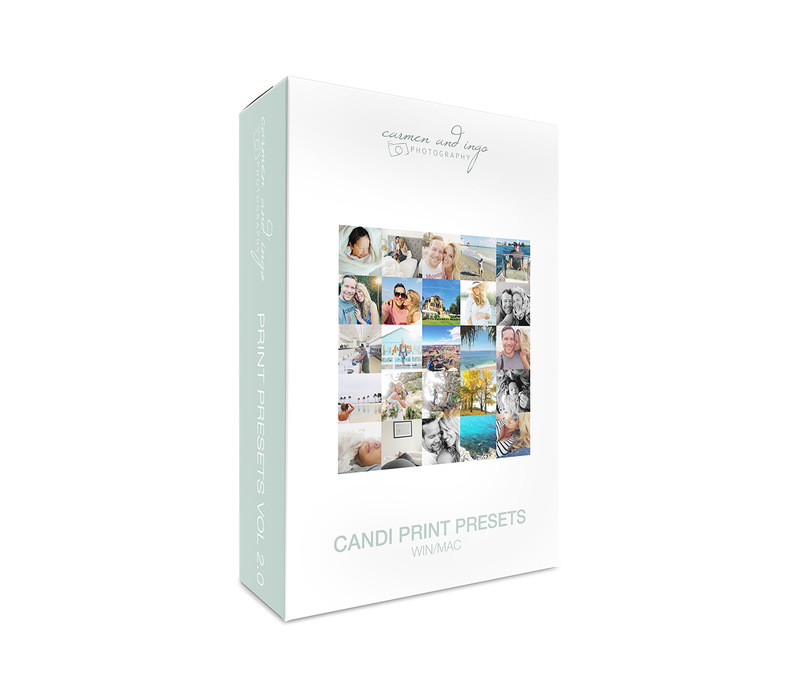 If you spend too much time editing and you want to develop your workflow (editing up to 100 photos per hour) you have found your ally! 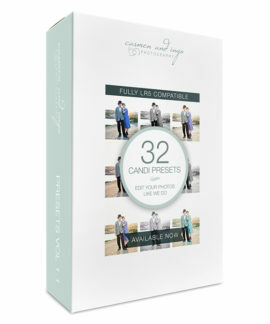 We highly recommend to work with Lightroom Presets because it’s the total speed up for your workflow! 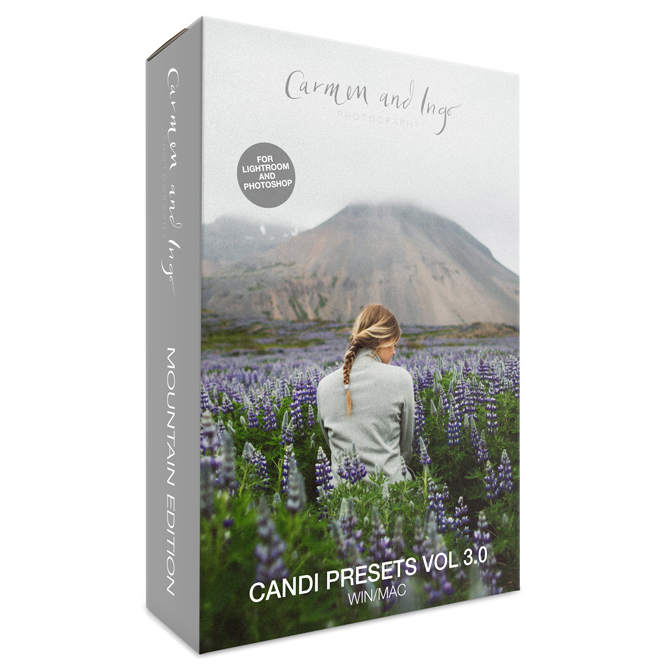 Even if the Candi Presets don’t manage to be ONE-CLICK-Preset every time, it’s at least for 90% of your photos an ideal base for further tuning. 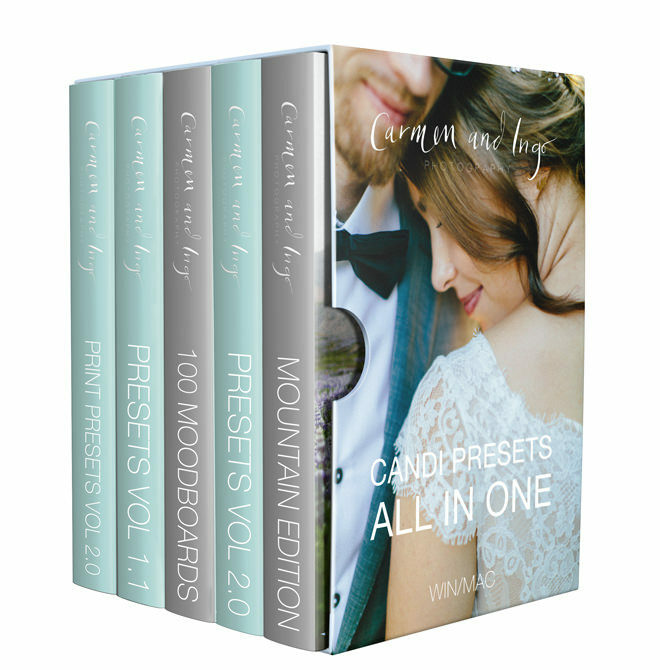 Go for the ALL IN ONE Preset NOW and get all the Presets for Photoshop as well and free! 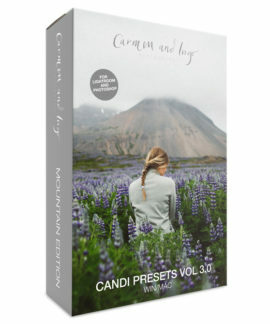 Be sure to also check out our Facebook Candi Preset User Group: a platform with over 2000 users showing their before and afters and the place for all your questions concerning presets. After the (successful) purchase you will get an email with a link for direct download. If you don’t get an email, please check your spam folder first. If you create an account in our store, you also have the link in your account to download the files there . 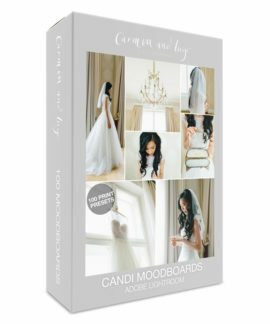 PS: Please be aware, that the look of your results in Lightroom may vary from ours depending on your style of shooting and depending on your camera. 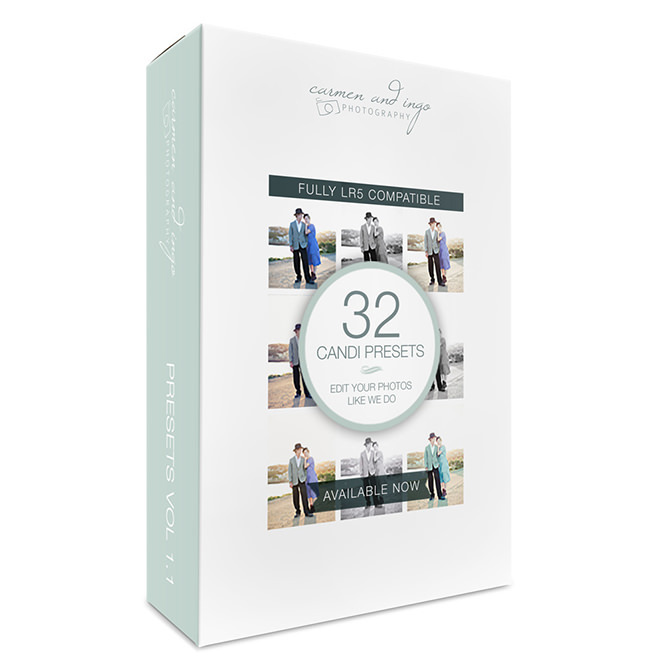 We recommend shooting raw even though the new presets work with Jpgs as well. Raw’s just give you more flexibility than Jpg photos.